One of the more common comments that we hear is that you have no idea what your floral budget should be. I get it. You've probably never planned an event this large, with this many details, or this many moving parts. To help, I've put together some pricing to help you figure out the basics. Of course, each wedding that we work on is customized for YOUR needs. The average wedding right now in our area is approximately $25,000. On average, flowers are about 10% to 15% of the overall wedding budget. A good place to start your planning is to determine what you want to spend for then entire event, then use 10-15% for you flower budget. That said, your specific types of flowers, the size of your bridal party, the size of your guest list, and the style you choose will all affect your floral expenses. As an example, if you have 6 bridesmaids, 6 groomsmen, 4 parents, 8 grandparents, 150 guests, and you want ranunculus, peonies and garden roses (three very common flowers shown on Pinterest), you'll need 7 bouquets, 7 boutonnieres, 15-20 tables that need centerpieces (depending on how many are at each table) plus your ceremony flowers, delivery & set-up, and tax. Total, this can easily be $4500-$5000. Check below for our price ranges for the most common wedding flowers to get you started in you planning. I just wanted to say thank you so much for my bouquet – it was everything I could have asked for and more!!! There were so many compliments from guests about it. 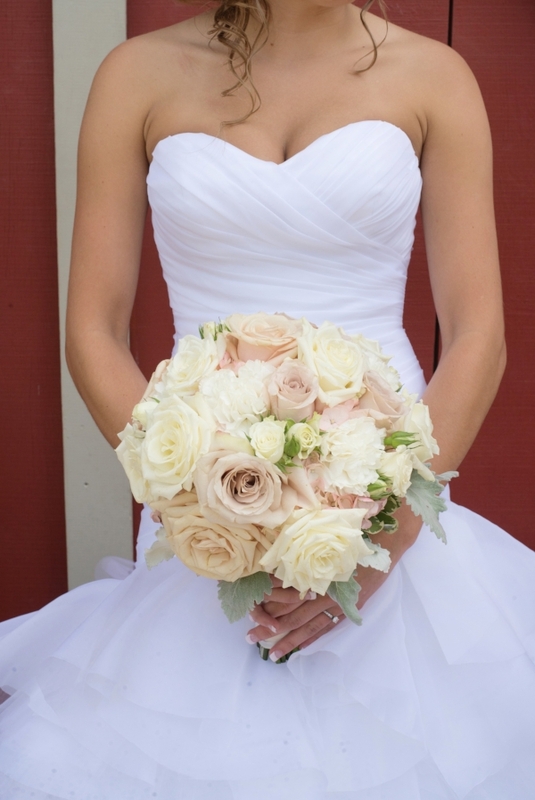 Your bridal bouquet is the focal point of all personal flowers at your wedding. 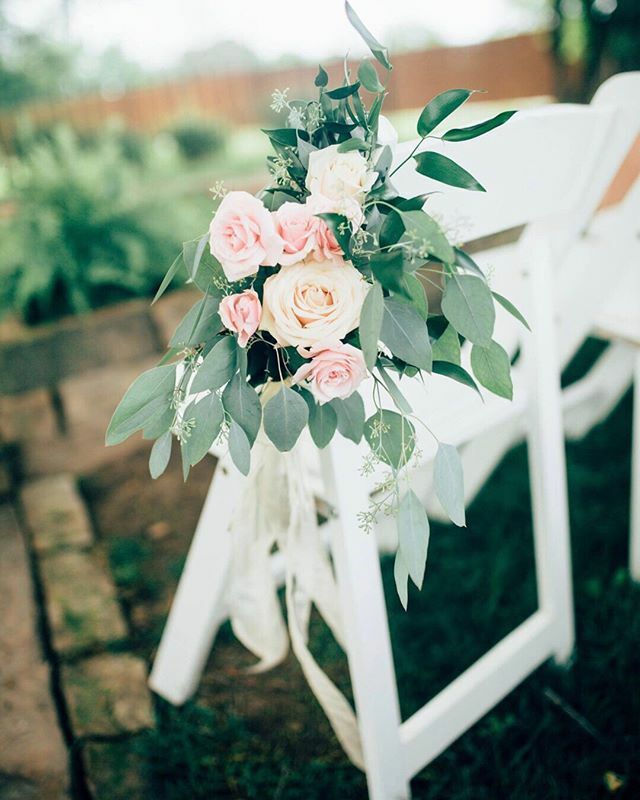 Many styles are available, including organic/boho, hand-tied and cascading bouquets. Pricing depends on type of flowers used (carnations vs. peonies), the size of the bouquet, the style of bouquet, and the amount of artistry that goes into the bouquet of your choice. The attendant's bouquet is typically a smaller version of the bride’s bouquet. However, you can mix styles of bouquets. For example, the bride may carry a cascading bouquet while the attendants carry round, hand-tied bouquets. You can also choose a different, but coordinating mix of flowers for the attendants' bouquets. Posies, or nosegays, are the smallest bouquets we offer. They are quickly becoming popular for mothers to carry in lieu of wearing a corsage. Posies can also be carried by an older flower girl or very petite attendants. Traditionally, the groom gave the bride her bouquet. Then the bride took one flower from her bouquet and gave it to the groom to wear. Now, we create separate but complementary pieces for the bride and groom. 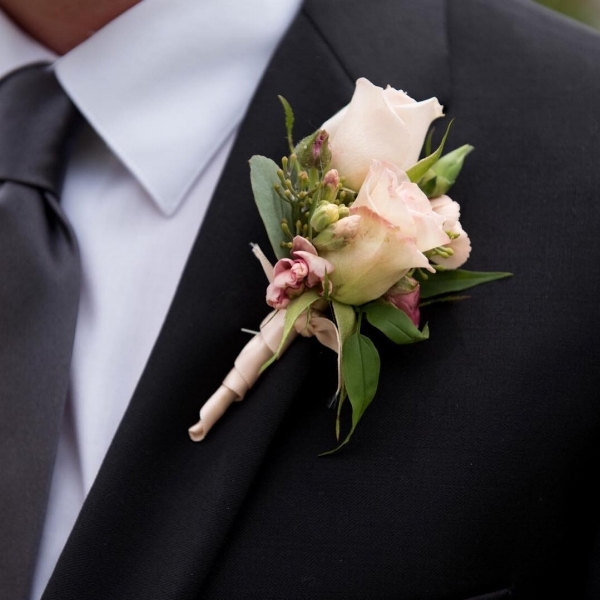 Boutonnieres for other wedding party members (groomsmen, ushers, fathers, grandfathers, etc.) will be similar to the groom’s boutonniere, but a slightly different design. The price for a corsage will depend on the flowers used, the size of corsage, and the type of corsage (wrist vs. pin-on). Our wrist corsages can be worn on a custom-made cuff that matches your wedding style or a 'pearl' bracelet. Other personal flowers include flower-girl baskets, floral crowns, and ring bearer pillows. This can also include petals to toss, decorated wagons, and/or 'here comes the bride' signs. Aisle, or pew arrangements, vary from a small nosegay tied to the pew or chair with a bow to large, full arrangements that trail to the floor. 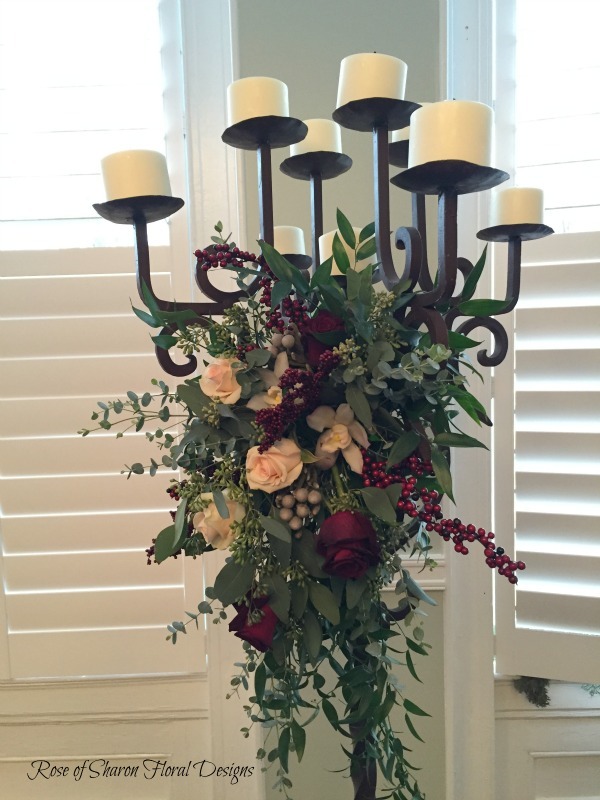 Candelabra are often used as aisle decor and can be decorated with flowers as well. Rose petals along the edges of the aisle would also fall in this category. This category includes tabletop unity candle accents, candelabra decorations, and large altar pieces. We can also help you create your own arch or chuppah from flowers. Short centerpieces are no more than 12" tall. Size, style, and flower variety all play into the price, as does the size and style of container used. We offer container purchase and rental. Garland is very popular right now and it comes in a variety of styles and foliage mixes. Garland is sold by the foot and the price depends on the mix of foliages, the thickness and whether or not any flowers are added. 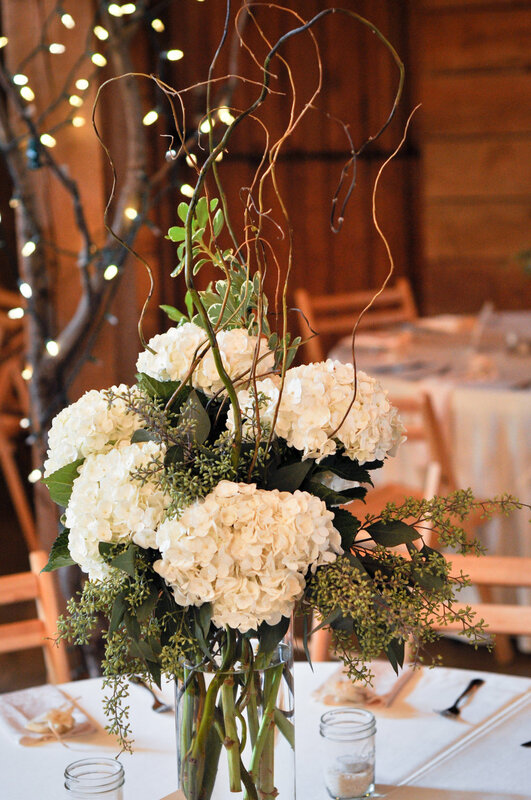 Tall centerpieces are typically any table decor that is 18” or taller. (Unless specifically requested, we keep the space between 12" and 18" clear so that guests can see each other across the table.) This category also includes your head-table centerpiece. 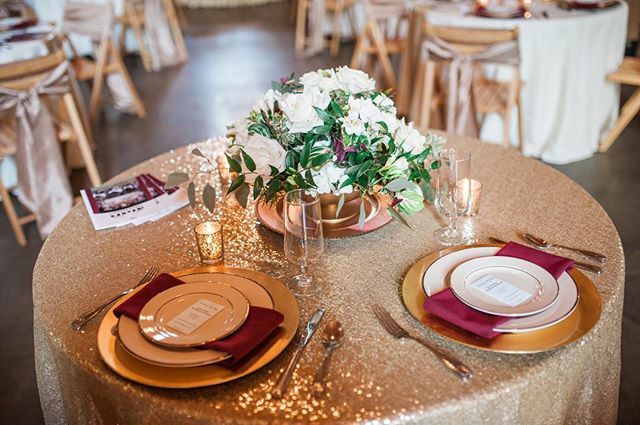 Your head-table is normally a focal point in the room and is the epitome of your reception decor. As with short centerpieces, size, style, variety and container will play a part in determining the price. This includes your cake flowers, buffet centerpiece, a mantle or entryway decor, or any other floral accents at your reception. These prices are intended to be a guideline only. 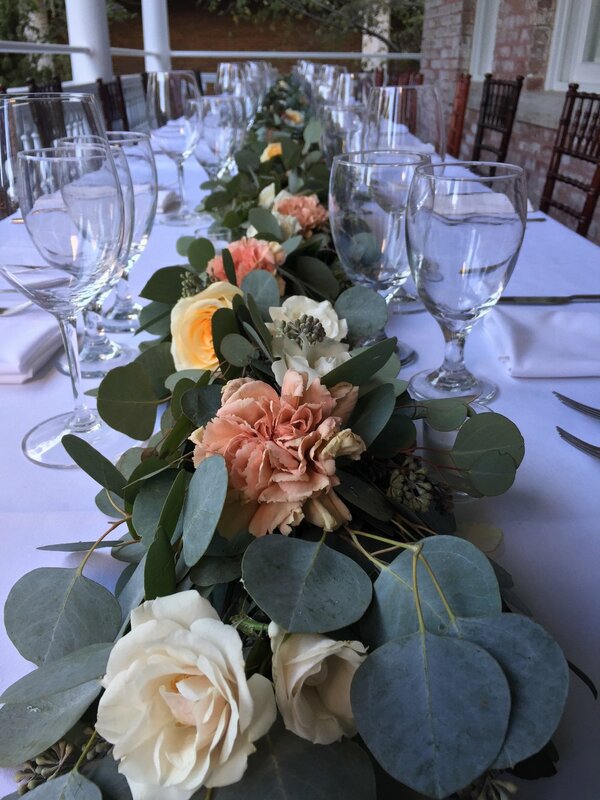 Your specific floral cost will depend on a number of factors, including size of wedding party, size of guest list, types of flowers, size and style of floral designs, and amount of artistry needed to complete a piece. Bouquet styles have evolved over the years to reflect the times and the personality of the person carrying it. Today, bridal bouquets come in a variety of shapes and styles. As one of your most important accessories, your bouquet should compliment your size, your dress, AND your personal style. Below are some of the more popular bouquet styles used today, and a description of what wedding styles and dresses they work with best. A very 'casually' styled bouquet, giving a 'just picked from the garden look. This style actually takes quite a bit of talent to get right...it's easy to end up with a hot mess! It also helps to have a good photographer because it's easy to capture this style from the wrong angle. The organic bouquet can be round, oval or cascading (as shown in this photo). Because of its organic flow, it's my personal favorite style. Works best with a less structured or 'bohemian' dress. Perfect for outdoor weddings or barn weddings. Great for brides with a casual, less structured style. After years of hand-tied bouquets, these designs are gaining popularity because of the amount of artistry involved. A cascading bouquet is a design containing a mass of flowers that are arranged to trail to a narrow end. The tail can be any length and it can be flowing or structured. There are several different bouquet styles that are in the cascade family, including the Organic Cascade, Natural Cascade, the Traditional Cascade, the Teardrop and the Crescent. Works best with a full skirted dress, a ball gown, or a dress with a long train. A great option for a tall or full-figured bride. Perfect for the bride that wants to focus on the FLOWERS. Works great with a full skirted dress, a ball gown, or a dress with a long train. Perfect for brides who like the Organic look but prefer a touch more structure. A great option for almost all brides. A more contemporary and modern variation of a cascade. Shaped like an inverted teardrop, this design is very structured and fairly short. Compliments full skirted dresses, A-line dresses that flare at the waist, and dresses with long trains. 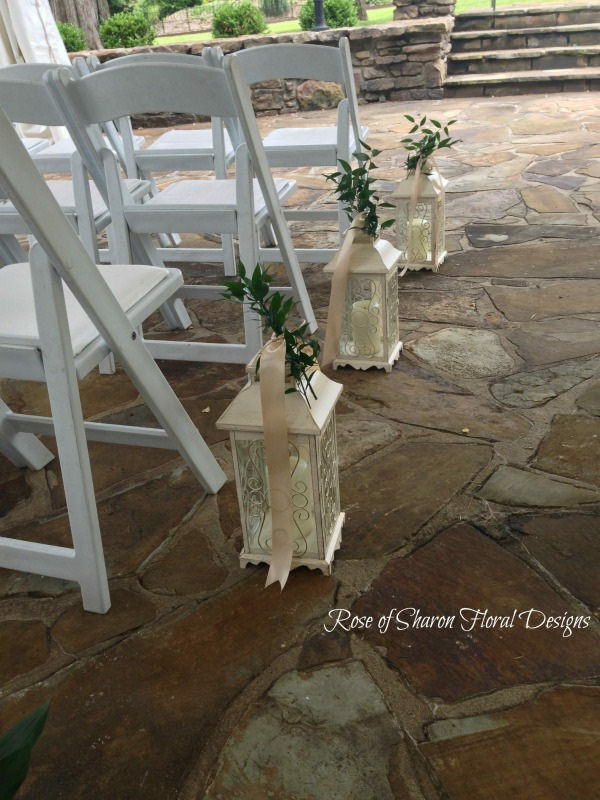 Perfect for the bride who wants modern touches to a traditional wedding. This design mimics the shape of a crescent moon where the main part of the bouquet is the center and the sides trail to the right and left. This design can be either symmetrical (both sides equal in length) or asymmetrical (one side shorter than the other). Compliments full skirted dresses, and dresses with long trains. Perfect for the non-traditional bride or the bride with an artistic flare. Otherwise known as a pageant bouquet, this style sits in the crook of your elbow. This is a good design for someone interested in carrying larger flowers or line flowers such as Calla Lilies. For a modern twist, this bouquet can be carried to the side rather than cradled in the arm. Works well with slim figures. Compliments empire and sheath dresses. Flower type determines the formality of this style. This bouquet is composed of a gathering of flowers with the natural stems left intact. Stems may be covered with ribbon or foliage or left natural. This bouquet is most often a round shape. It can also be very formal or very informal, depending on they type of flowers used. Works well with brides of medium heights and builds. Compliments most dress styles if properly proportioned. A small version of the round, hand-tied bouquet. Because of its size, care must be taken that this bouquet is not lost against the wedding dress. This style is often used for younger or smaller members of the bridal party, and is becoming quite popular for mother's to carry. A nosegay or posy can be created as a natural cluster of blooms (less formal) or as a compact composed bouquet (more formal). Works well for the very petite bride. Works well for Junior attendants, flower girls, and mothers. Often used as the Tossing Bouquet. Compliments non-traditional shorter wedding dresses.